Yesterday, being the first of November, I found myself wanting to update my mantle. I had a couple pumpkins cut from patterned scrapbook paper matted in a frame. Cute, but after a month or so up there I was ready for something new. I’ve been on a burlap kick, it is the perfect color and texture for fall and so versatile. 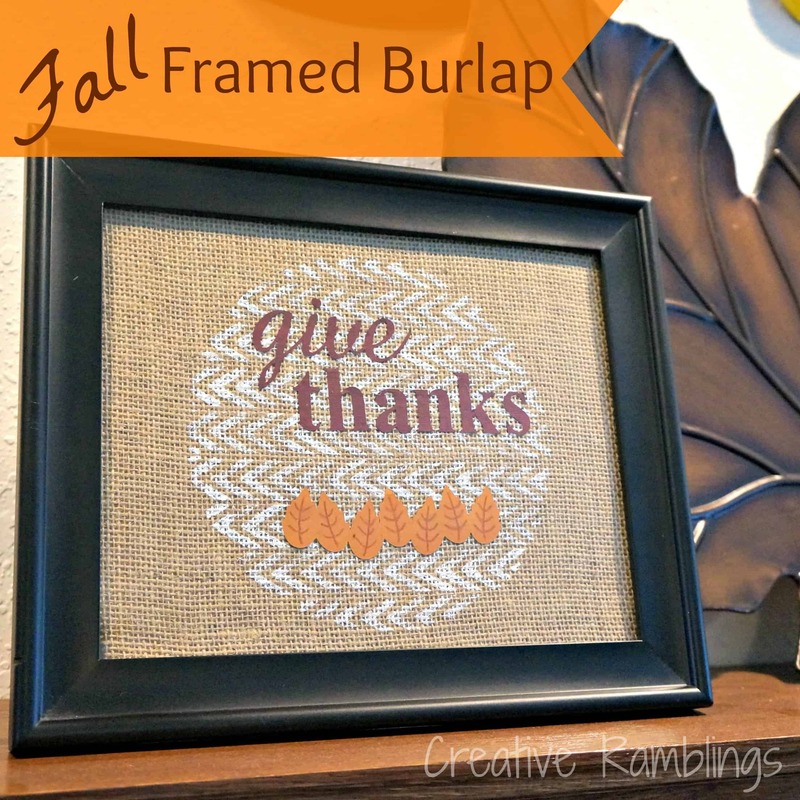 I decided to use burlap in the same frame and create something geared toward Thanksgiving, a fall burlap creation. I used a couple of Martha Stewart paper board stencils, white paint and my Silhouette to dress up the burlap. 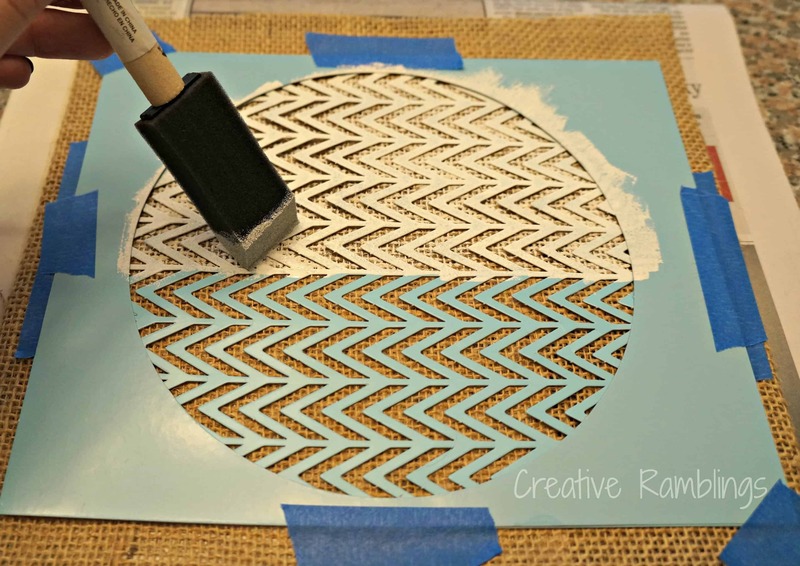 I layered a large circle stencil over a chevron stencil and used a foam brush to paint the burlap. I made sure there was very little paint on the brush so it would not bleed on the burlap. While this dried I created some text with my Silhouette. (this machine is so versatile, if you do not have one I highly recommend adding it to your birthday or Christmas list). I cut “give thanks” in burgundy and a set of leaves in orange. I then added them to the burlap and put it in the frame. 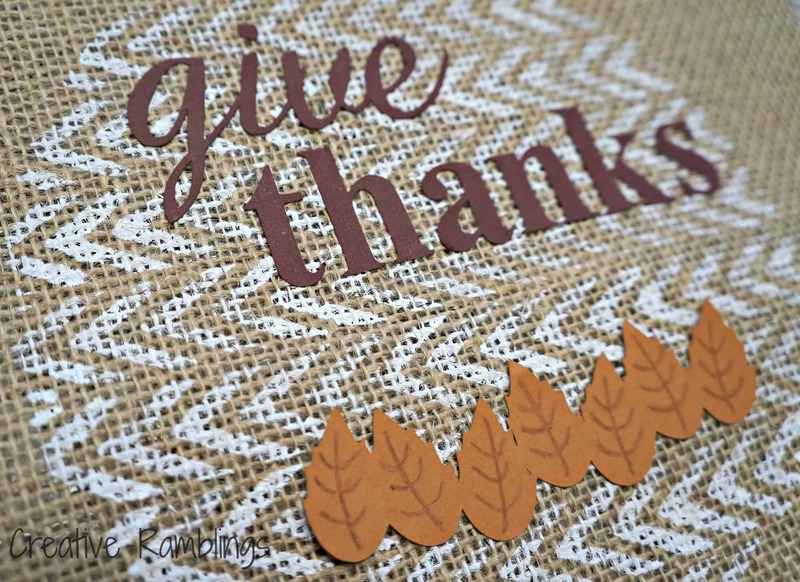 If you do not have a way of die cutting letters you could add pre-cut letters from a craft store or continue with paint or a Sharpie and free hand your fall saying. 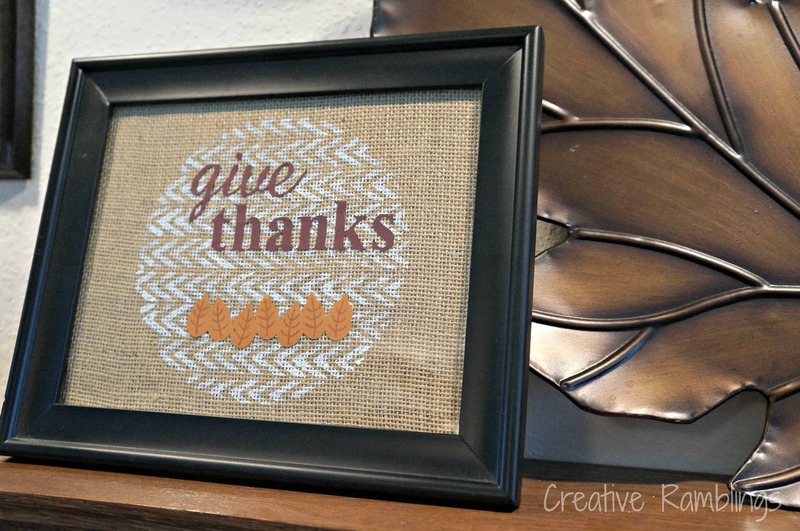 This fall burlap was a super easy project and it looks great on my fall mantle. What is your go to craft material this fall? Anyone else loving burlap like I am? Thanks Miranda. I’m about 6 months pregnant so quick and easy projects are my focus right now! Oh, how pretty! And what a fun project. I can see myself doing this after reading your informative tutorial. I really need a silhouette. Thanks Ali, glad it was helpful. This is my new favorite toy! Oh that is adorable, I love the simple rustic look! Perfect for fall! 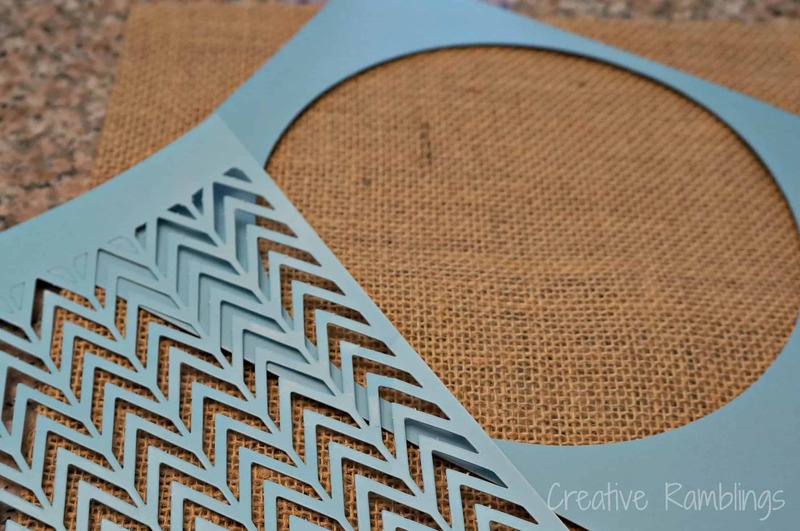 Glad you stopped by Lori, quick and easy project! I will head over and check out your party. I LOVE this. I got a roll of burlap without any idea of what I was going to do with it. I’m going to do this! So cute! I just got my new silhouette machine the other day and can’t wait to try out some fun projects! Pinning this for some inspiration! Thanks Ellora, enjoy your machine there are so many possibilities. What a great Fall craft for the house. I saw it on Play. Party. Pin link party and I just had to stop by and say hi and let you know I love this idea! I’ll be pinning this for sure. Thanks Courtney, glad you found me and stopped by. Love the Chevron you added- really cute sign!! Thank you so much for linking up to Get Your DIY On this past week. I hope you’ll join us tomorrow with any furniture makeovers!! This is awesome. I actually picked up some burlap for the first time a few days ago and might borrow your idea. Thanks for sharing on the weekend re-Treat link party! 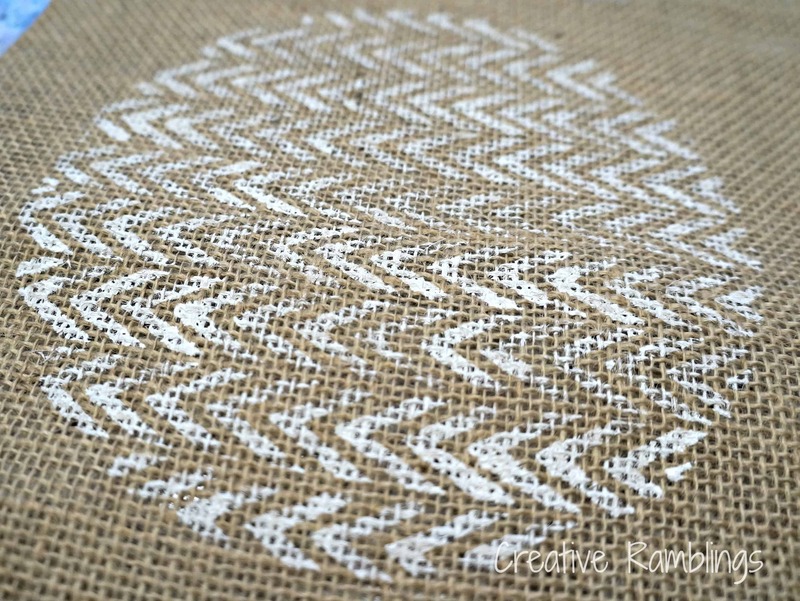 I am so in love with burlap, you can do so much with it! Have fun and thanks for stopping by. Thanks for the feature Hani!